Count To 100! is a counting app with something every kid loves to press — elevator buttons! Created based on 100 chart, used in schools to help develop number sense and recognition. 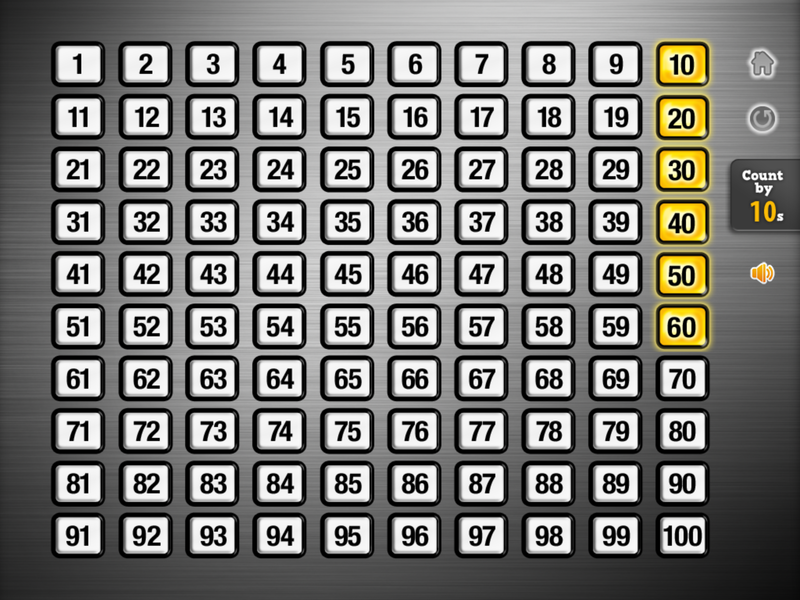 What makes it unique is features such as option to display buttons in increments of 10 to break down learning goals into smaller steps, option to count in sequence from left to right, which may also help children with visual perception and motor planning challenges, and option to skip count by 2s, 5s, 10s and 25s. There’s also a ‘Tap Any’ mode to explore numbers arbitrarily. After witnessing a positive progress in my son’s counting and tracking skills, the team and I decided to release it in October 2012. The first phase of just the functionality working (no voice and no animation) was completed in about 3 months. And a good 1 month for adding voice, animation, and tweaking the buttons to make it a market ready app. We encountered issues in getting it to work on iPad 1 so we spent about 1 month trying to get it fixed. I’m happy to say that YES it works on iPad 1! My favourite feature is the option to count to a multiple of 10 numbers up to 100. I’m a firm believer in breaking down big tasks into smaller manageable tasks so children can learn successfully at their own pace. Other feature unique to this app is the counting in sequence feature that may benefit children with visual perception and fine motor challenges. 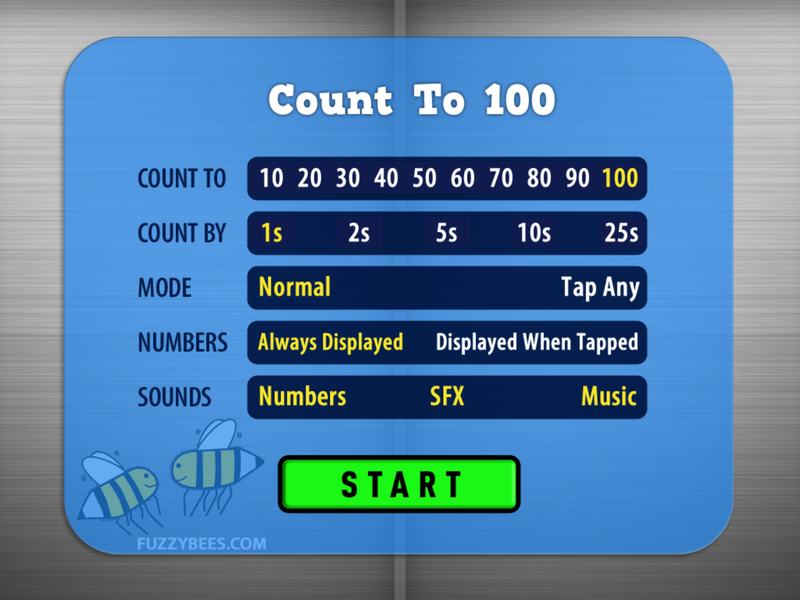 I’m hoping this app can help with counting skills, tracking (left to right) skills, number sense and counting fluency. When used as a visual tool (‘Tap Any’ mode) the app can be used to illustrate math concepts such as before / after, between, less / more. I would say 4+, although we have parents of 3 year olds who start using it already. Yes, we’re currently working on slowing down some of the voice and adding an in-app help button to provide information on how to access the home and refresh buttons. We probably should’ve done this in the first place and could’ve avoided some confusions. My apology.